A month after the global launch of Honor View 10, Honor has announced the Indian price of its flagship smartphone. The handset will retail in India at an aggressive price of Rs. 29,999. The highlight of the phone is its full vision display and the latest high-end Kirin 970 chipset. The View 10 is the rebranded model of Honor V10 that is up and running in China for quite some time now. In India, the Honor View 10 will compete directly against the likes of OnePlus 5T and Samsung upcoming Galaxy A8+. 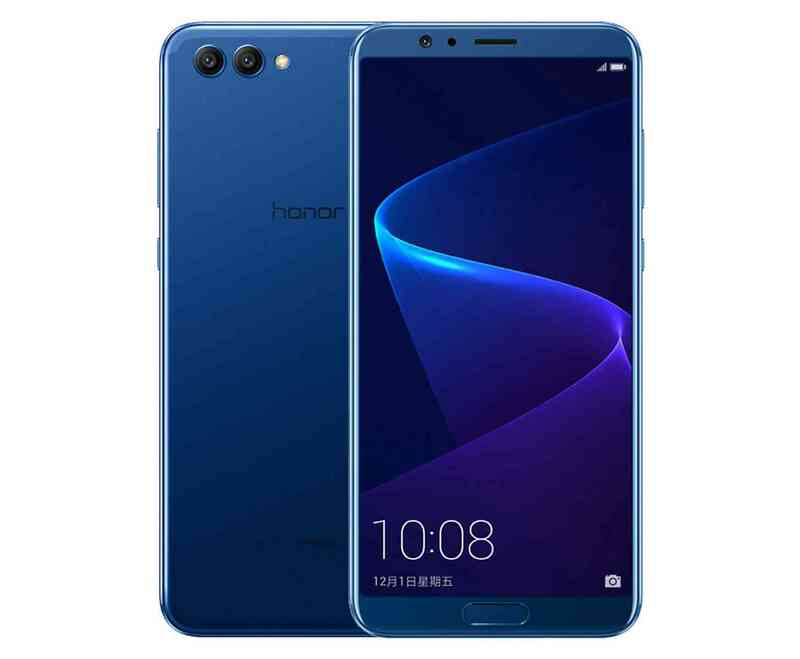 The Honor View 10 flaunts a 5.99-inch 18:9 full HD+ display with 1080×2160 pixel resolution and is powered by the company’s own octa-core Kirin 970 processor. The chipset has AI capabilities too. It’s smart enough to allocate resources based on your usage pattern in order to avoid lag with longterm usage. The chipset is backed by 6GB RAM with 64 GB 128GB storage space, which is further expandable up to 256GB. Out of the box, the Honor View 10 runs on an EMUI 8.0 based Android Oreo and packs a 3750mAh battery with fast charging support. For photography, Honor View 10 sports a 20MP and a 16MP with f/1.8 aperture at the back. While at the front it has a 13MP selfie shooter. The cameras are backed by the AI and machine learning to enhance camera experience. As per Honor’s claims, View 10 can use AI to recognize multiple scenes and objects and automatically adjusts the camera settings for the perfect shot. Also, Honor View 10 is one of the first full vision display smartphones to feature a front-mounted fingerprint sensor. The phone can also be unlocked using your face. In terms of connectivity, the device offers 4G, VoLTE, 3G, Wi-Fi, Bluetooth, GPS, USB Type-C and NFC. “The launch of Honor View 10 marks the beginning of a new AI era, making consumers shift from the smartphones to ‘Intelligent phones’. Marked as the true AI device, the Honor View 10 will be the most affordable AI device available for the Indian consumer” said P Sanjeev, Vice-President Sales, Huawei India-Consumer Business Group. The Honor View 10 will retail in India beginning January 8 exclusively on Amazon for Rs. 29,999. You will have to register to participate in the first flash sale. The phone will be available in two-color options – Navy Blue and Midnight Black.